Scooper - Technology News: How can we make growth work for all? How can we make growth work for all? Growing inequality in wealth, income, and opportunity, together with concerns over the benefits of globalization, has fuelled growing discontent. Widening inequality is not only threatening to tear apart the fabric of societies – growing evidence suggests that it also hampers long-term economic performance. We need new ideas to make growth and development more inclusive, allowing whole communities to thrive. “We consistently fail to grasp how many ideas remain to be discovered. The thing about ideas is that they naturally inspire new ones. This is why places that facilitate idea sharing tend to become more productive and innovative than those that don’t. Because when ideas are shared, the possibilities do not add up. They multiply.” – Paul Romer, Chief Economist, World Bank . One small example comes from the Kumaon region of the Himalayas, where pine trees shed their needles every year between April and June, carpeting the forest floor. These pine needles are flammable, and Avani Bio Energy has developed the technology to convert them into clean electricity through gasification. The company employs local people to collect the needles, creating 93 jobs in an area where incomes are low and men often migrate far away from their families to look for work. The electricity generated is fed into the grid, and high-quality charcoal produced as a by-product is sold to local households for fuel – an inexpensive alternative to kerosene. Collecting the needles reduces the risk of forest fires, and helps water to percolate into the soil, restoring biodiversity. How many other practices exist that are simultaneously good for the economy, society and the environment alike? How can these initiatives be supported or scaled up? We want to find out. That’s why the World Economic Forum has partnered with the World Bank Group and Canada’s International Development Research Centre to collect the best examples of innovative initiatives from around the world – whether led by the private sector, public sector or civil society – that have a positive impact. We will showcase winning proposals on a digital platform where all governments, companies and civil society organizations will be able to take inspiration from them. We will invite the people who submit the winning ideas to a Global Symposium in Fall 2017, travel expenses paid, and a chance to participate in one or more regional events over the coming year where they will meet with other leaders and experts to discuss how to best move them forward. How might these ideas apply to other contexts? How were challenges overcome, and what factors made the implementation successful? How did practices deliver both a financial and social return? 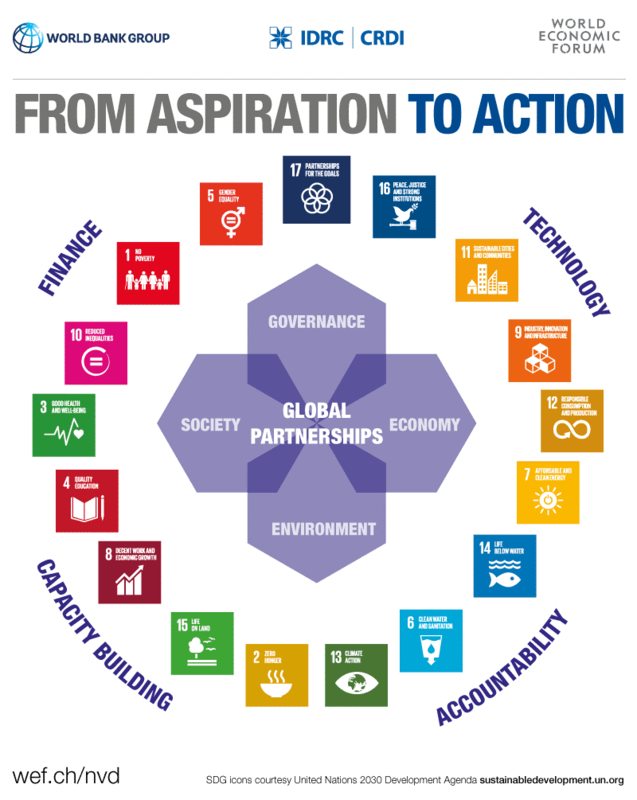 This is the start of a major, ongoing effort to answer these questions, spur new partnerships and help stakeholders to work together and overcome constraints towards achieving the Sustainable Development Goals. Do you have an example of an initiative that has successfully fostered both economic growth and social inclusion? Consider entering our contest by 19 December 2016.